Food and beverage producers take note, the Roanoke Region has every resource you need to produce a world-class product. Plentiful, quality water, natural gas, a significant available sewer capacity and all other utilities are in place. And the Roanoke Region’s location in the Mid-Atlantic has proven itself an advantage for manufacturers of all varieties for decades. But many are simply unaware of the advantages the research assets at Virginia Tech can provide food and beverage manufacturers of all sizes. 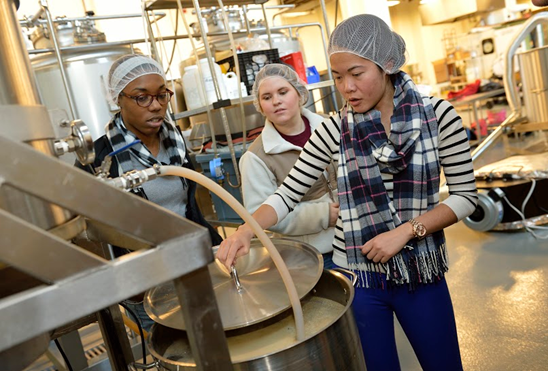 The Department of Food Science and Technology in the College of Agriculture and Life Sciences at Virginia Tech is a department that is built on industry collaboration. The department hosts the Food Innovations Program which can provide a variety of technical assistance services including testing food products for safety and quality, provide guidance on reformulation and product design, coordinate training, provide regulatory assistance, and even calculate nutritional labels for new food products. The department has analyzed over 2,500 products and assisted more than 1,000 businesses large and small with challenges unique to their own food-based business. Department faculty, many of whom have private industry experience, have assisted many large industrial clients evaluate new processes and/or new equipment and its effect on the quality and safety of the food product being produced. Most recently, the department has added malting equipment, a new brewhouse and distillery equipment for the burgeoning brewery and distillery industry in Virginia and which augments the departments existing research winery and enology laboratory. The department also hosts a sensory evaluation laboratory where data can be collected on individual responses to flavor, ingredients, and even packaging and marketing of products. Each panelist booth is equipped with sensory data collection equipment including automated facial expression analysis software to record and evaluate the user experience. There is a wide variety of resources available at Virginia Tech for private industry and the Food Science and Technology Department has experience collaborating with colleagues in the Macromolecules and Interfaces Institute which specializes in research into polymers and has researched applications in food and other consumer product packaging. The Department of Sustainable Biomaterials has recently started a new undergraduate degree in packaging systems and design which is contributing along with the Food Science department freshly trained food and packaging graduates each year. 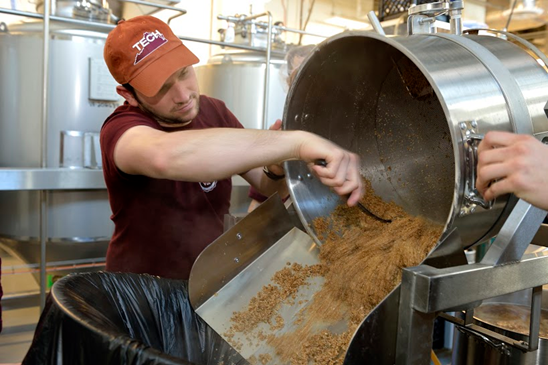 Virginia Tech houses the resources that can assist with product conceptualization and process implementation and is another resource that makes the Roanoke Region a better place for food and beverage companies to do business.